How to obtain twitter certification? In a context where the reliability of information becomes important. Social networks have developed tools to authenticate information sources. One of Twitter's tools in this regard is to give account administrators the ability to certify their profile. 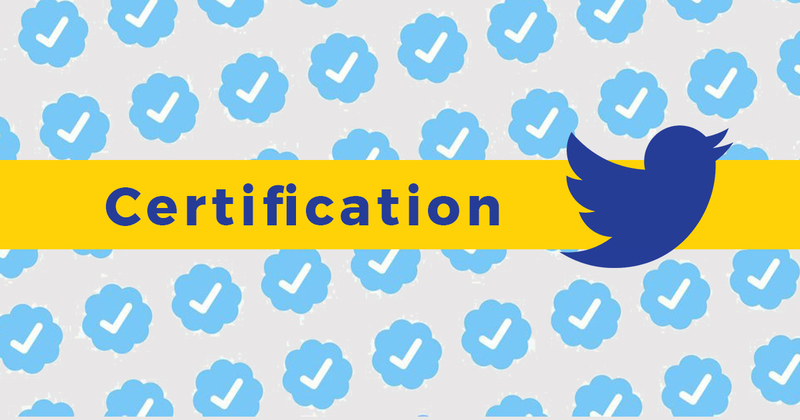 To give you an idea, what it looks like, a certified account gets the Twitter badge. Oshara Inc, a web agency specialized in web marketing and digital design, explains how to get the small blue Twitter badge, a sign of performance. The interest of the Twitter badge checked. Making a request for certification from Tweeter brings many opportunities. Before that, the certification indication related to the blue badge, fits into a genuine and reliable account declaration framework. Notably with the study of your case, which is necessary by transmission of company documents and an official identity document. Better visibility: a Twitter certification, generates a better click rate, as well as a better visibility compared to an uncertified account. Identity theft is a widespread phenomenon in social networks. The creation of false accounts, by usurping the identity of a company or a personality, can have harmful consequences on your e-reputation. Brand image: once the blue bird badge is acquired, your brand image will be enhanced. So don't wait any longer to apply for Twitter account certification. However, the operation is far from simple. First of all, criteria are necessary, to have a Twitter certification. Before that, the certification indication related to the blue badge, fits into a genuine and reliable account declaration framework. Notably with the study of your case, which is necessary by transmission of company documents and an official identity document. The final decision regarding your authentication, remains subject to validation by Twitter. Some accounts that have all the required conditions do not necessarily receive it. Other social networks offer the same social networking tools. If you want information about Facebook and Instagram. You can browse these two articles that concern them.